The new and improved tortilla, with added potato! My new secret ingredient was purchased on a whim from Wai Yee Hong. 500g of potato starch for 75p. Somewhere in my brain attic was a recollection about potato starch (PS from now on, lazy me) being good for lighter baking. However, the first thing I used it for was gravy. You see PS listed as a thickener on a lot of things so I experimented and made my own instant gravy. Marmite, beef stock cube, pepper, touch of brown sugar, hot water and a couple of tablespoons of PS and blimey – it’s gravy! I have other plans for the PS; perhaps it’ll help me in my quest for the ultimate GF, EF and DF brownie? Or maybe sort my issues with cookies? (So dry! OMG so dry...) I’ll keep you posted. 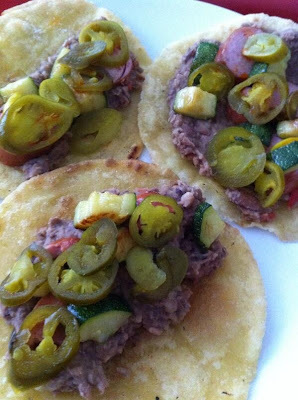 In the meantime, here’s how I used the magikal PS to improve my usual tortilla recipe. Mix together the flours and salt. 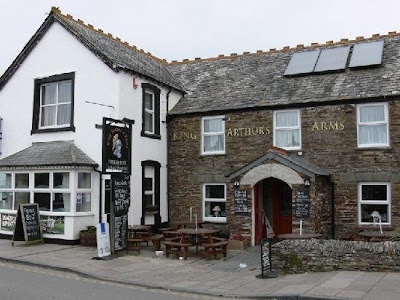 If you’re ever in Tintagel, check out the gluten free offerings at The King Arthur’s Arms. I only stopped here for a quick Rattler before heading back to the campsite for BBQ madness but if you go, let me know how you got on! Cornwall is great for gluten free finds. Check out Gluten Free Mrs D's blog for a cracking list of other places to try. 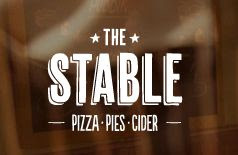 The Stable recently opened up a branch in Bristol, on a popular strip of restaurants along the harbourside. Great location, great concept, big communal tables for eating and socialising and they do gluten free pizza bases. Just one problem, word got out. It’s full in there, really rammed, like a wasps nest. We turned up and half the restaurant was reserved and there was a queue for the remaining tables. So I took my friends to Toro. I knew we’d get great gluten free food, amazing service and excellent value for money. Char Kuay Teow Epic prawns in delicious spicy noodles. Ilumi launched their ‘free from’ food products this spring and have already become a staple for many coeliacs. 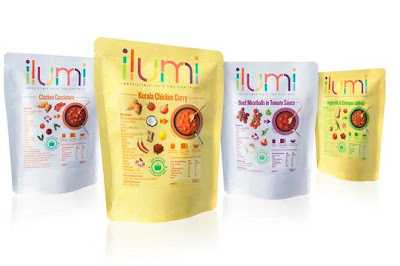 Ilumi make 'delicious foods for pleasure and well being' and they are committed to producing allergy friendly food that you can put your trust in. Their handy pouches are easy to store, last for ages, are great for taking on holiday and are an excellent aid to home cooking, saving hours behind the stove. What is remarkable about Ilumi is the home cooked flavours, something you really don’t expect from heat-and-serve food stuffs. I received a few samples in the post. Some ready to eat, some to be used as part of a bigger meal. I took the Chicken Cacciatora, Spanish Style Rice & Vegetables, Thai Chicken Soup and Slow Cooked Lamb Casserole (all gluten, dairy and egg free) into work and enjoyed them straight from a bowl. These pouches are relatively low calorie too. Great if you're on the 2:5 diet.